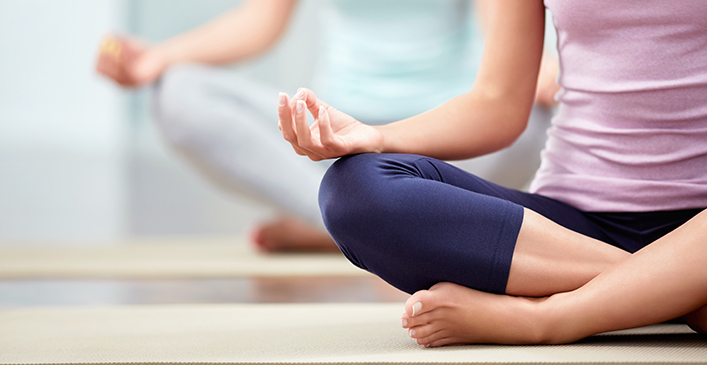 Yoga is an age-old form of exercise that teaches mind and body control for mental and physical health. There are various forms of yoga, all with benefits of improving flexibility. Hatha yoga is a traditional form of yoga that incorporates series of movements in slow, controlled and purposeful manner. Power yoga is essentially yoga with brawn. It incorporates continuous movements, creating an intense muscle building and cardiovascular workout. Hot yoga is a current craze that incorporates traditional yoga movements in a hot climate of 105-degree rooms. This hot climate promotes increased muscle flexibility and perspiration. Whatever style you decide to try, all yoga will promote whole body flexibility and body resistance strengthening. Try finding a class at your local health club, park district or even a yoga exercise video.